Al Became interested in playing an instrument after seeing The Beatles on The Ed Sullivan Show and seeing “A Hard Day’s Night”. Bought a used Burns Jazz Bass in 1965 and started learning songs from the radio and records. The first song Al learned on bass was Bob Dylan’s Like a Rolling Stone and he then joined a few bands with friends from high school. Al moved to North Bay on December 8 1967, met a drummer at Music City in North Bay on December 9 and started a group with a guitar player and played songs by Hendrix, Doors and Cream. Al played the circuit around North Bay then came to Toronto in the fall of ’69 to make it big. He Joined the union, got a booking agent and started playing around Toronto. He was offered a recording contract with Greg Hambleton recording Greg’s original material at Sound Canada. Reluctantly Al’s band at the time turned down the offer. Al then attended Seneca College and played in a few bands with fellow students for fun but never really pursued a musical career. Music kind of faded away for a little while Al found work got married and had kids. In the very late 90’s Al broke out the gear again and started to practice with drummer from Holland Landing. That group morphed into another group and they started playing around Sutton, Lindsay, Newmarket, Keswick, anywhere they could play. 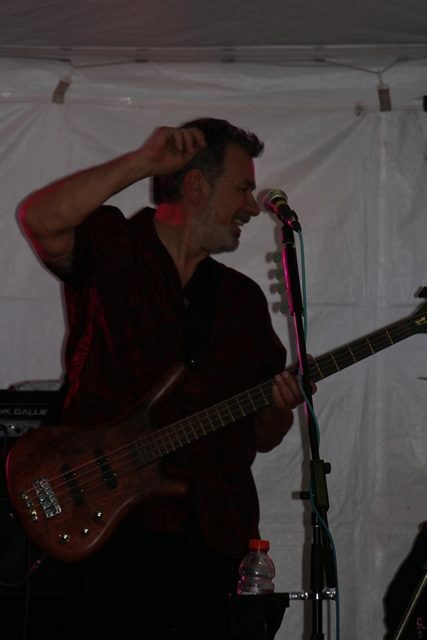 Al then moved to Meaford in 2013 and started looking for new musicians to play with and met Bill Goldie 2015 and formed a group performing covers from Deep Purple and White Snake.